Lots and lots of fish to look at the pictures and videos for, find out more about or purchase through us! Plenty of variety to go around. Coldwater Freshwater: Fish such as goldfish and orandas, they live in cold (or room temperature) water. Tropical Freshwater: Warmer water fish such as tetras and barbs. Tropical Saltwater: Warmer water, fish known as marine fish like clown fish (Nemo). Specific types of fish should be kept in the correct conditions, suitable for them. Fish such as Clown Fish (Nemo) should be kept in warmer water conditions (and saltwater) and need lots of care and maintenance. 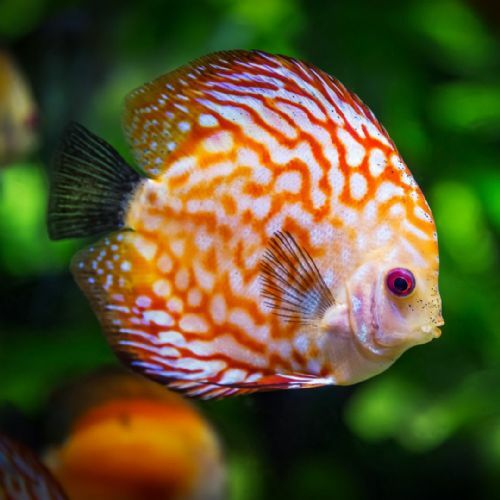 For fish with a generally easy care and easy maintenance, coldwater fish such as Goldfish are a good option!